Wessex Chimneys | We sweep chimneys, wood burners, stoves, fit bird guards, chimney pots, cowels, bird spikes, rain guards, carbon monoxide alarms in the wymouth and dorset area. This includes open fires, coal fires, wood burning stoves, multi-fuel stoves, gas fires, Agas, Rayburns & disused chimneys. Oil appliance may be subject to additional charge of £20. In short, if it has a chimney, we can sweep it. As well as the traditional method of sweeping which uses brushes and vacuum, we provide an alternative rotary power sweeping service which is a more effective method of cleaning your flu. This is at no additional cost. Wessex Chimneys takes great care to fully sheet up the fireplace and the area that we are working in to make sure that there is no mess. We make sure that all the soot is contained and everything is cleared away, leaving your fireplace clean and ready to use. Once we have swept the chimney we carry out a free smoke draw test to ensure that the fireplace is safe to use. Everything is recorded on a sweeping certificate, issued with every sweep. Generally it is recommended to have your chimney swept once a year. This includes everything a standard sweep includes as well as a sweep from inside fire place if required, swept 2-3 times though each opening/hatch, remove the build up of soot from the top of the register plate, carry out a smoke draw test, clean and pack up, provide chimney sweeping certificate. 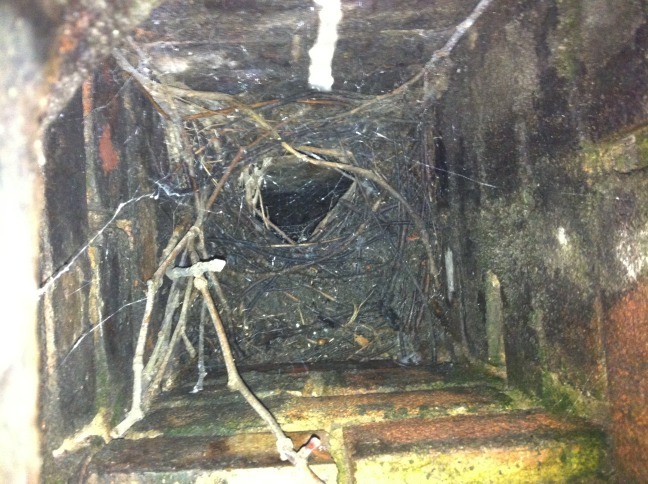 Wessex Chimneys are able to remove bird’s nests or other types of blockages, and will follow this up with a free camera check to ensure that your chimney is clear and safe to use. After removing a blockage, sweeping the chimney alone does not guarantee that all of the blockage has been removed. This is why Wessex Chimneys provides a free camera check with every blockage removal, to make sure that your chimney is 100% clear and safe to use. Don’t run the risk using a company that cannot guarantee that your chimney is 100% clear. Partial blockages can result in chimney fires or carbon monoxide poisoning. Wessex chimneys are proud to offer a chimney camera inspection service. We use a high-resolution camera to inspect the condition of the inside of your chimney. We pass the camera all the way from the fireplace to the top of the chimney, making sure that there are no blockages or partial blockages, as well as surveying the condition and integrity of the chimney lining, looking out for any cracks and loose or missing bricks. 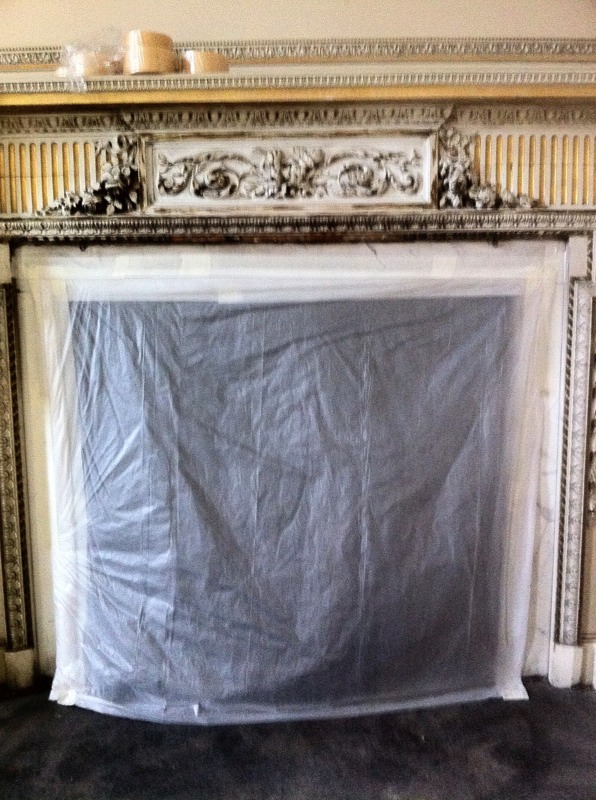 •	Reinstating an old fireplace and ensuring it is safe to use. •	When installing a fireplace / stove, inspection will check whether the chimney is suitable, and determine whether the chimney needs to be lined, which should be done before installation. •	Following a chimney fire, to make sure the fire did not cause any damage. •	If you have a blockage, to ascertain what the blockage is and to assist in removing it. For further advice please give us a call, we are happy to help. A Smoke sound test tells us if there are any holes or cracks within a chimney. A chimney should be sealed from the bottom to the top with no gaps where smoke could leak out or cooler air leak in. A chimney that is not 100% sound can be dangerous. When cooler air is pulled into the chimney it cools down the gasses given off by the fire, which in turn makes them heavier and slows them down. This process can lead to a build up of carbon monoxide within the chimney, and is highly unsafe. Wessex Chimney supply and fit battery powered Audible Carbon Monoxide Alarms. What is carbon monoxide- why is it a problem? Carbon monoxide (CO) is a colourless, odourless, tasteless, poisonous gas produced by incomplete burning of carbon-based fuels, including gas, oil, wood and coal. Carbon-based fuels are safe to use. It is only when the fuel does not burn properly that excess CO is produced, which is poisonous. When fuel burns in an enclosed room, the oxygen in the room is gradually used up and replaced with carbon dioxide. If carbon dioxide builds up in the air, the fuel is prevented from burning fully and starts releasing carbon monoxide instead. Be Carbon monoxide aware, protect your family from the silent killer! Get a CO Alarm fitted TODAY! £45 (Discounts apply if we are carrying out another service at your property at the same time). A cowl is a device attached to the top of a chimney pot, and serves different functions. Wessex Chimneys can supply & fit a range of cowls depending on your requirements. Why should I have a cowl fitted? We recommend that every chimney pot should have a cowl fitted to it, to prevent bird and rain entry. Bird Entry - The most common problem with bird entry is nesting within the chimney. A blockage or partial blockage by a nest can reduce the draw on the chimney, therefore preventing the removal of harmful gases from the room, such as carbon monoxide. 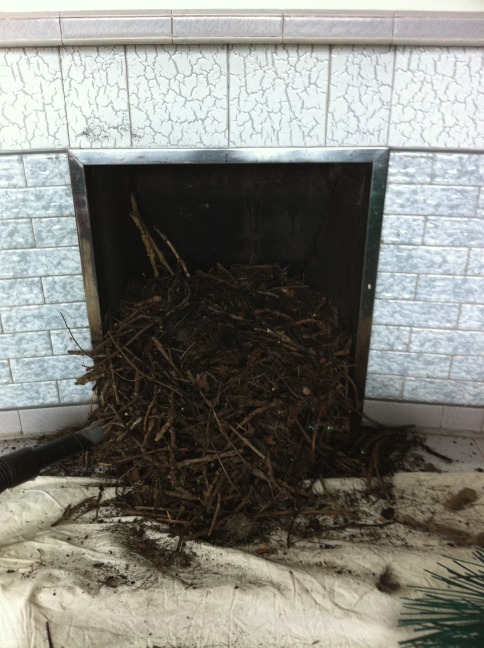 Debris from a nest also increases the risk of chimney fire. A birds nest within a chimney is not this…… it is this….. Rain entry – Water entering a chimney can cause a number of issues. Damage to the lining of the chimney through a winter freeze-thaw cycle weakens the lining and can result in costly repair bills. 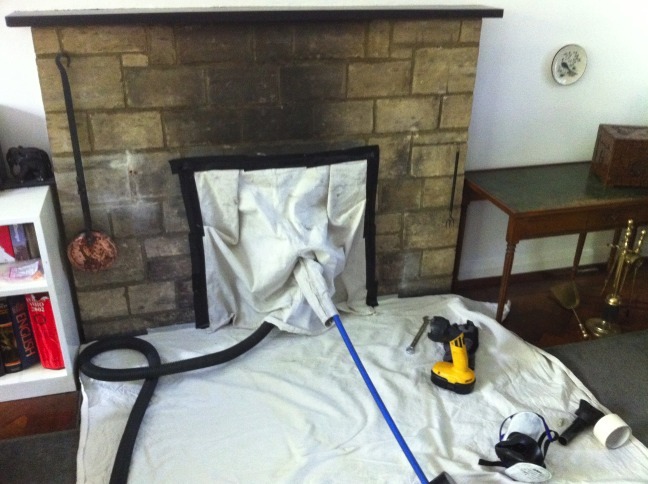 If water is able to mix with soot and tar in the chimney, it can seep through internal walls and cause staining. Rain water falling into a lined chimney with a stove attached damages the stove over time, where the rain water gets into the stove causing it to rust out from inside. Rain entry into a disused chimney, or a chimney not used on a regular basis can cause damp problems in the rooms below. This is more likely to occur in disused chimneys where the fireplace has been blocked up. Do I have the correct cowl for my fire/appliance? Louvier Pot – These pots can be used on all fuel types, as long as they provide a sufficient surface area for the fire type. The Louvier is mainly decorative as well as providing some protection towards down draught. These do not protect against rain and bird entry. It is possible to fit cowls on top of the Louvier. Gas Terminal – These cowls are only to be used on gas or oil fires. Not suitable for solid fuel fires/stoves, as they soot up too quickly and reduce the draw. Ventilator Insert – These cowls are only to be used on disused chimneys, and keep out rainwater whilst allowing the chimney to ventilate. Hood Top insert – These are only to be used on disused chimneys to reduce rain entry, whilst allowing the chimney to ventilate. Not to be used with active chimneys. Wessex Chimneys supply and fit a range of different sized chimney balloons. A chimney balloon is a specially designed inflatable bag that is inserted into the throat of the chimney and inflated. What are the benefits of having a chimney balloon fitted? Easy to remove, when you want to use the fire. A room with a blocked chimney needs only about half the heat compared with rooms with open chimneys, so we recommend fitting a chimney balloon in every chimney which is not in everyday use. The chimney balloon is made in a special laminate of three plastics to make it airtight, tear-resistant and long-lasting. It also has a special shape that allows a little ventilation on two corners to keep your chimney dry. 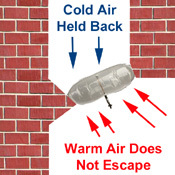 Using a chimney balloon is completely safe: if it is accidentally heated, it shrivels and deflates. If you want us to install the balloon into a chimney that you use from time to time, or just in place during the warmer months when the fire is not in use, we can demonstrate how to remove and re-fit the balloon so that you can use it whenever you want. Chimneys act as a funnel and pump to take warm air away. This is a good thing when your fire is lit and the warm air is full of smoke. However, chimneys work hard even when there is no fire. 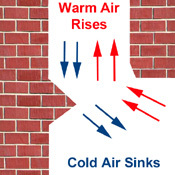 Have you ever wondered why cold air rushes in through the gaps in the floors, doors and windows? (maybe even down the chimney!) It can't get in unless it is going out at the same speed. 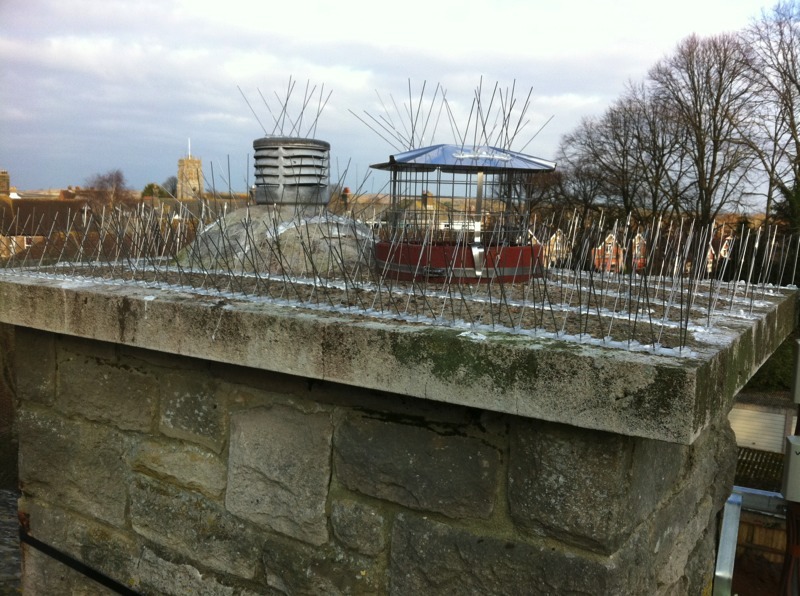 If you are fed up with noisy birds hanging about where they are not wanted, making a mess and generally causing a nuisance, Wessex Chimneys can supply and fit a wide range of bird roosting and nesting prevention solutions. Give us a call for a free quote to your bird pest problem.